We offer the very latest in vehicle diagnostics, diesel fuel pump & injector test and repair facilities using the latest Bosch Test benches EPS 708 and stage three injector repairs, All makes vehicle servicing and repairs, Auto electrical testing and repairs. DPF cleaning and repairs. Our fully trained and qualified technicians have over 250 years combined experience, backed up with technical support from leading fuel system manufacturers such as BOSCH, DENSO, STANADYNE & DELPHI ensure we offer the best available service in the industry By using state of the art test and repair equipment such as Bosch EPS 708 and Stage 3 common rail injector repair. Although Bristol based we cover areas of the South West inc Gloucester, Cheltenham, Swindon, Frome, Somerset and South Wales with our collection and pick up service for pumps injectors and parts. Within this coverage area we also offer on site technical support for trade and commercial customers. Diesel fuel pumps and injectors out side of our coverage area can be collected via our TNT next day service, we aim to turn around fuel pumps and injectors within 24-48 hours (parts dependent). If you have any enquiries or would like further information on the services and products we provide, please find and contact us. Modern high pressure diesel injection systems have created a diesel boom in the last few years. As a Bosch Diesel Centre we form part of the international diesel workshop organisation. 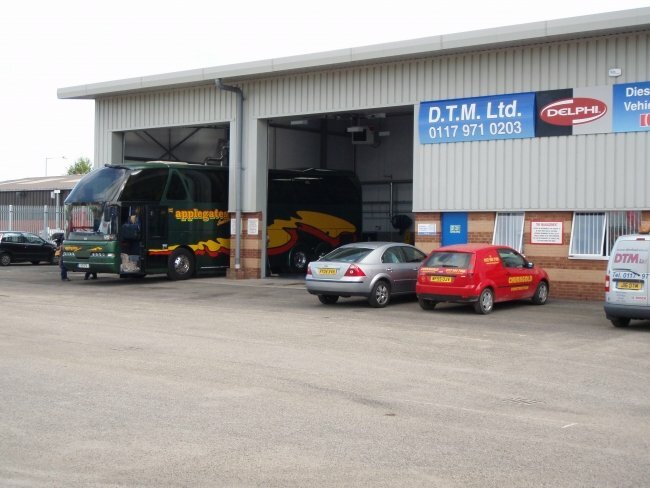 DTM fuel injection specialists have been established since 1982 and have now been awarded by Bosch the title of Bosch Diesel Centre, making us one of the UKs leading diesel system diagnostic and repair centres.We have now also undertaken the Delphi Common Rail agency encorporating the very latest Delphi diagnostics equipment. Call us today on 0117 971 0203 for information on the services & parts we can provide. Visit our Facebook page for our latest deals and offers.